Click here to go to the full post including photos. I love living in England. One of the reasons is the vibrant and diverse music scene here. For me part of that music scene is the Larmer Tree Festival that takes place every year in Dorset. This summer I was back again and had another amazing time seeing friends I made last year and hearing some great music from amazing bands and DJs from across the globe. Some of the acts that graced the festival’s three stages (and two nightclubs) this summer included the Bedouin Jerry Can Band from Egypt, Kora from New Zealand, Tinariwen from Mali, Orchestra Baobab from Senegal and DJ Derek from Bristol. Another great thing about this festival is that there’s something to do for everyone at this festival. There are all sorts of workshops and activities like salsa dancing, circus skills, and drumming. The photos you see above (click here if you don’t see them) are from fancy dress Saturday when many people get dressed up in costumes. 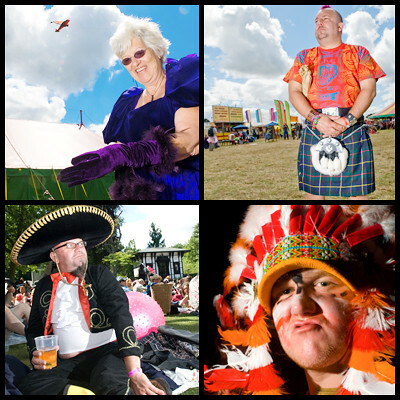 Check out my Larmer Tree 2008 website to see the images I took this year.